Joe Nagle is an internationally known, full-time, NATIVE (American) English speaking, professional voice-over actor, and an avid home brewer. He has combined these diverse talents to form his unique and memorable brand, “Joe’s SpeakEasy”. 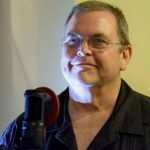 Although he specializes in the narration of animated whiteboard explainer videos, eLearning courses, nonfiction audiobooks and corporate, industrial, medical & military training tutorials, he also has several local radio & television commercials which have aired in various parts of the country, with an IVR recording and a podcast promo two sprinkled in here and there. Joe's SpeakEasy Voice-overs and Homebrew © 2019. All Rights Reserved.